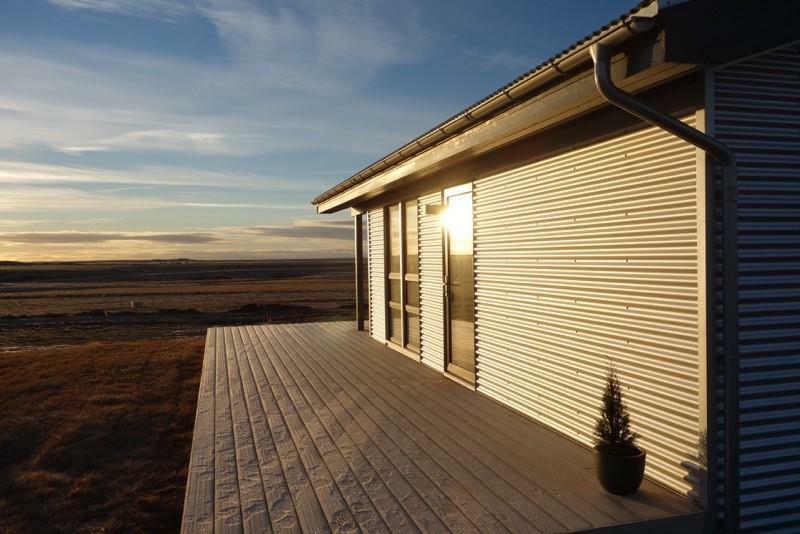 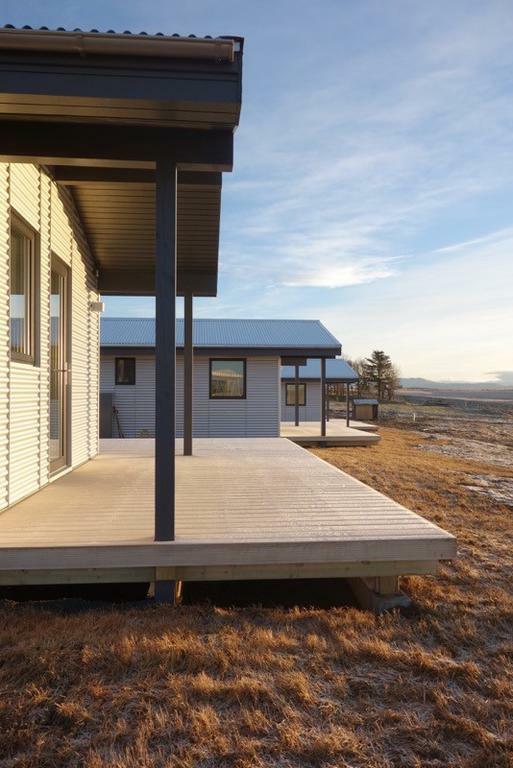 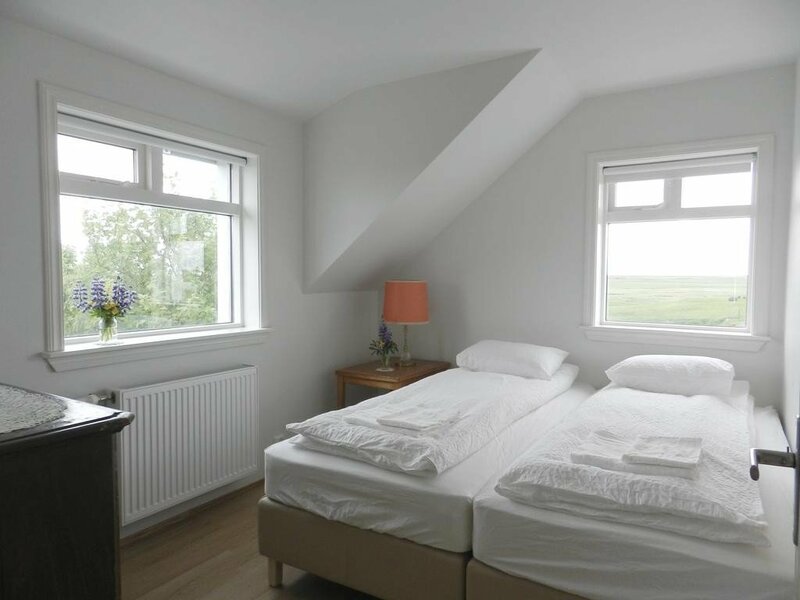 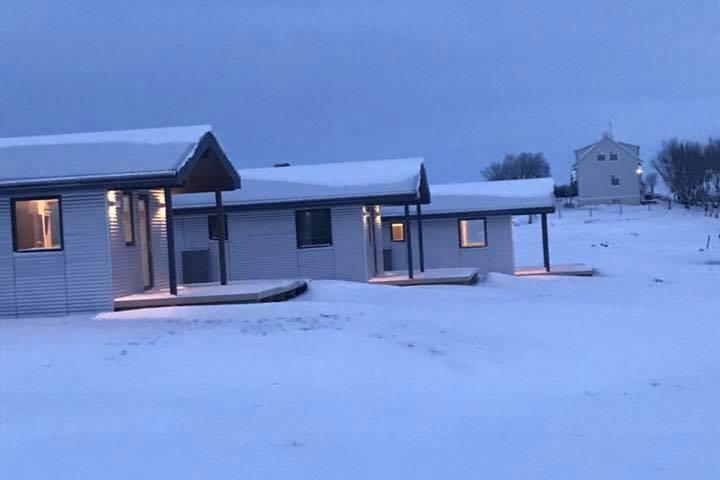 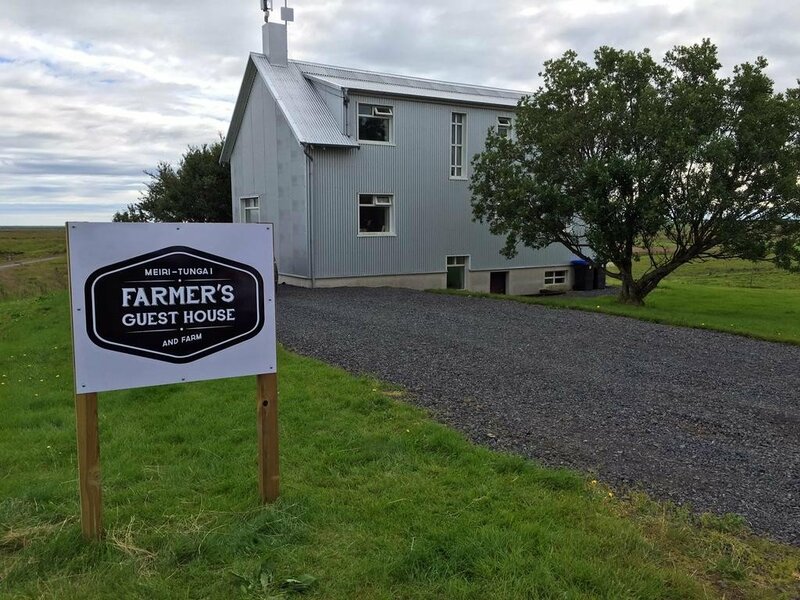 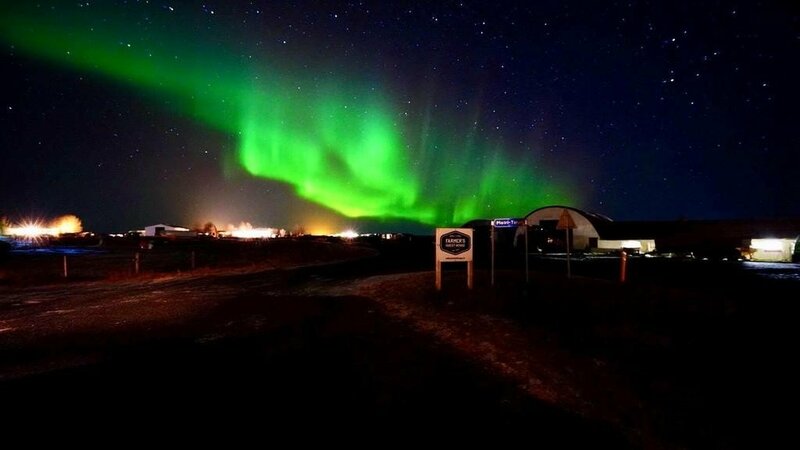 Farmer’s Guest House has self catering farm cottage accommodation near the towns of Selfoss and Hella and close to Iceland‘s famous Golden Circle tourist route. 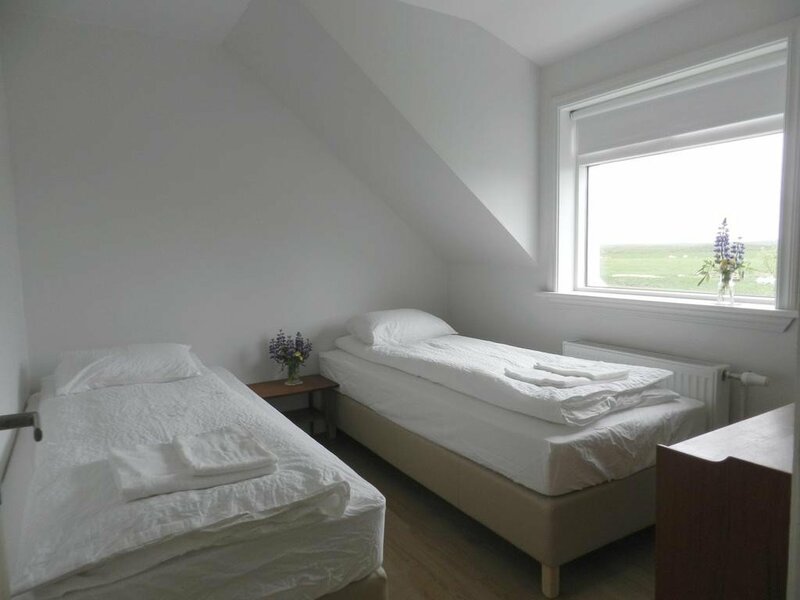 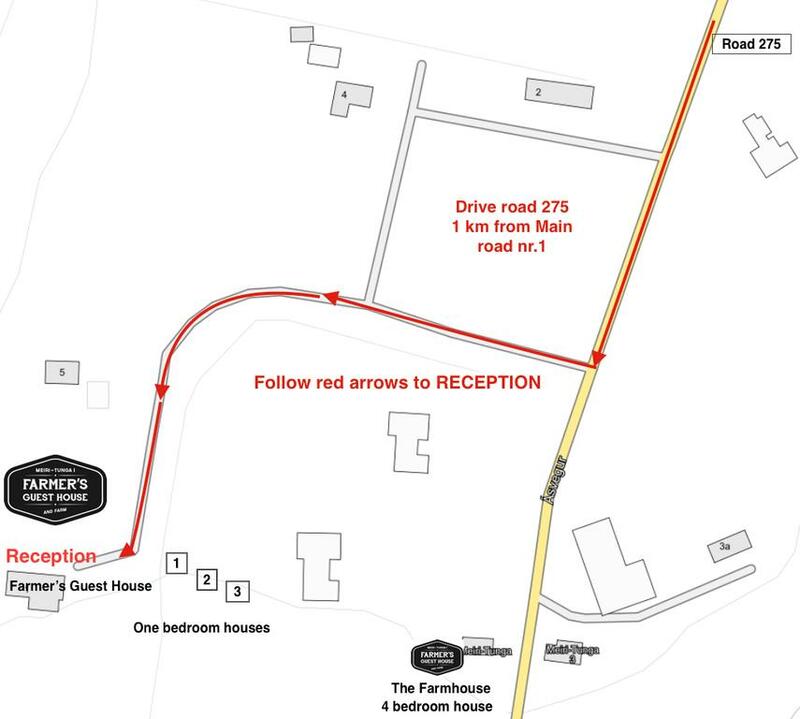 The setting is deeply peaceful and rural, with some lovely views, the cottages are well equipped, clean and cosy, and the farm owners are friendly and welcoming. 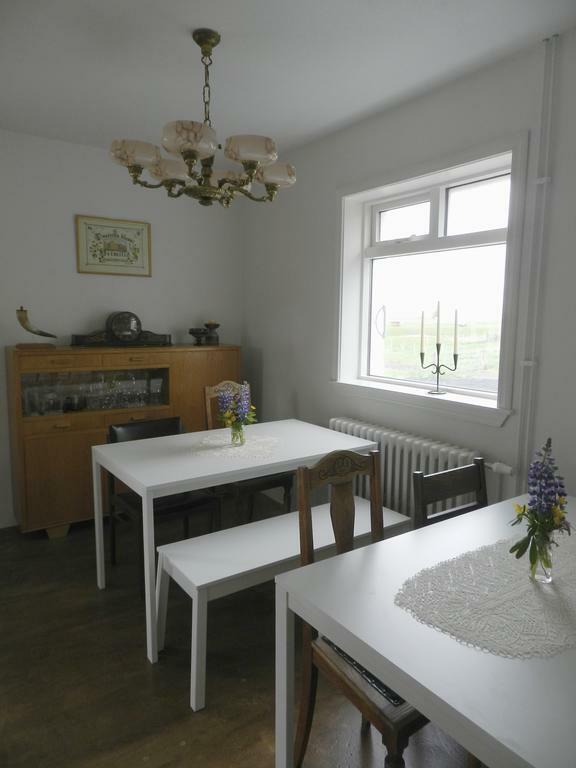 They have three cosy one double bedroom cottages to rent as well as, for larger groups, a 160 sq meter farmhouse. 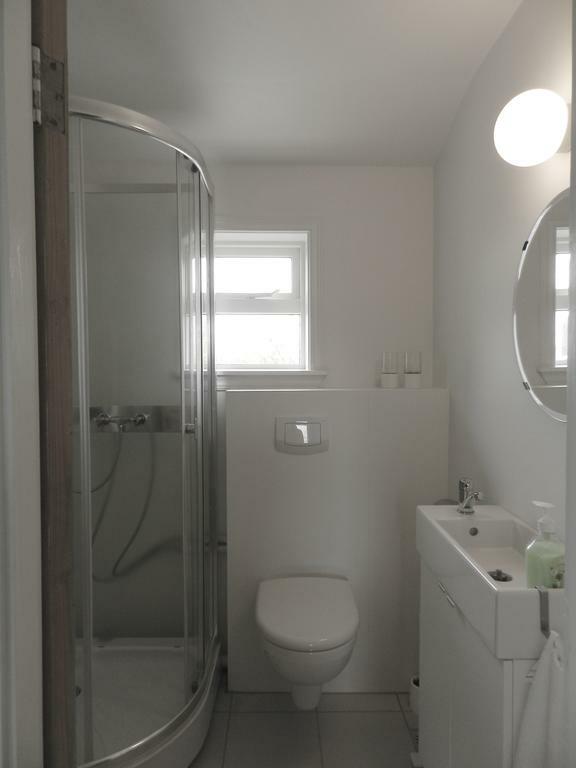 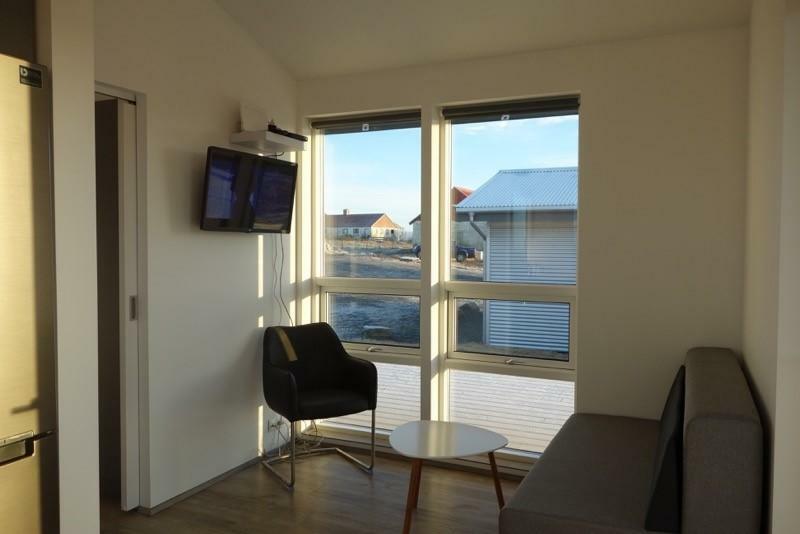 You’ll find all of them modern, nicely furnished and very well equipped. 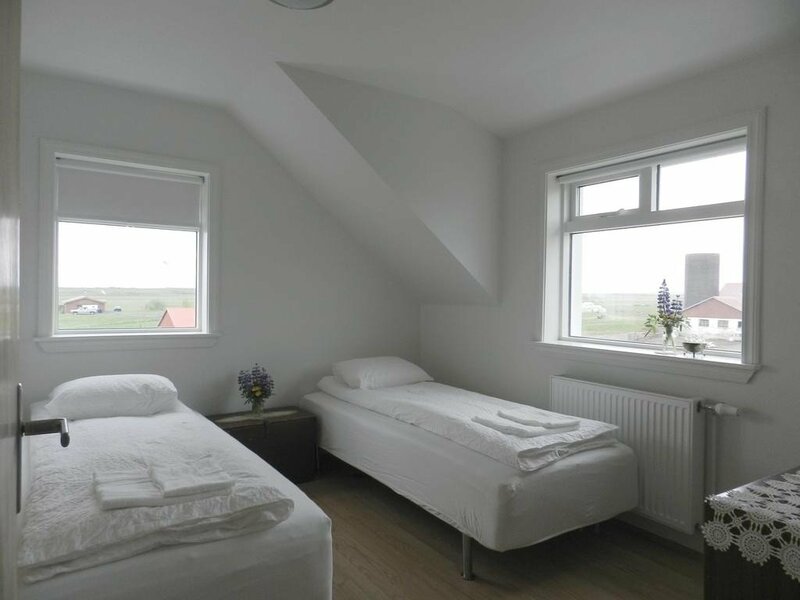 The farmhouse has 4 bedrooms on the second floor, each with two single beds, a lounge area and a bathroom with shower. 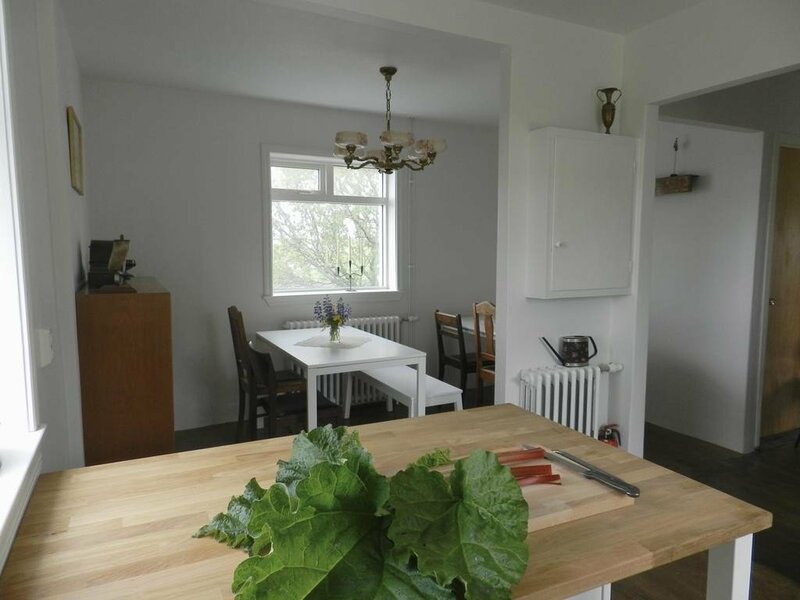 The first floor has the main living room, the kitchen and dining room and another bathroom. 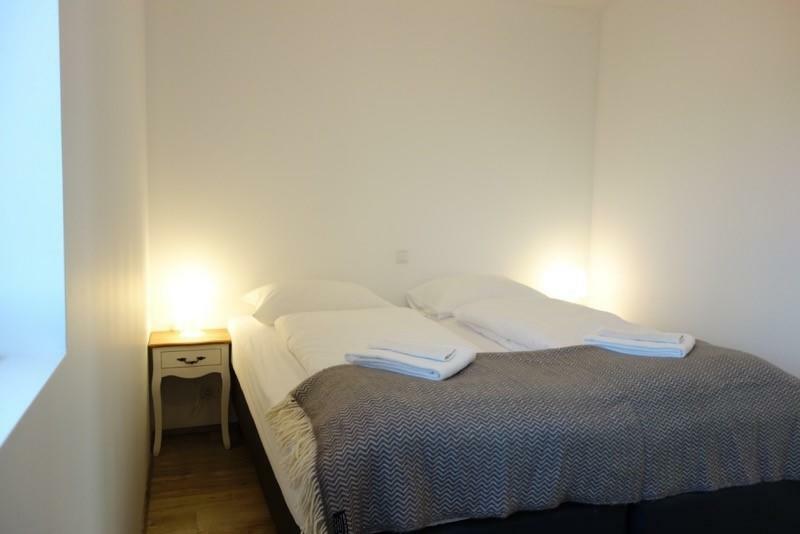 All in all it can sleep up to ten people with the help of two sofa beds in the downstairs living room. 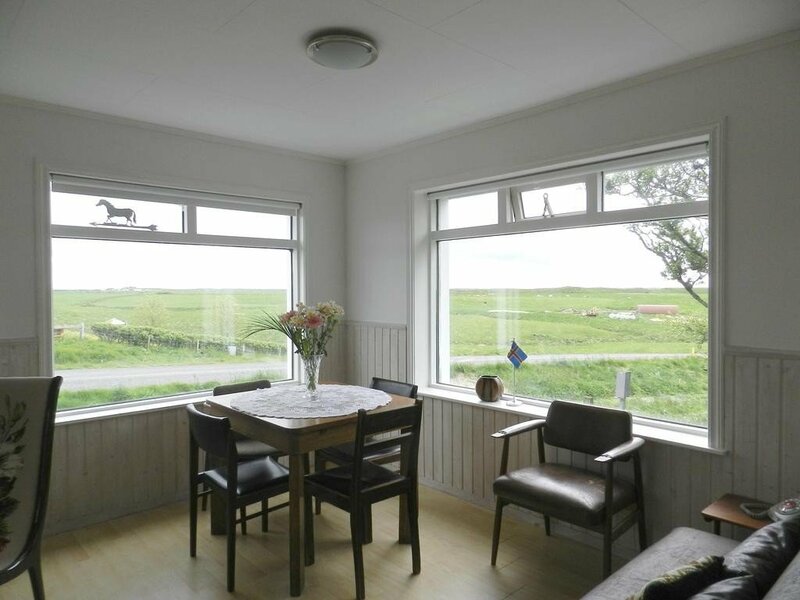 The cute cottages are nicely designed with a double bedroom, lounge area and kitchen. 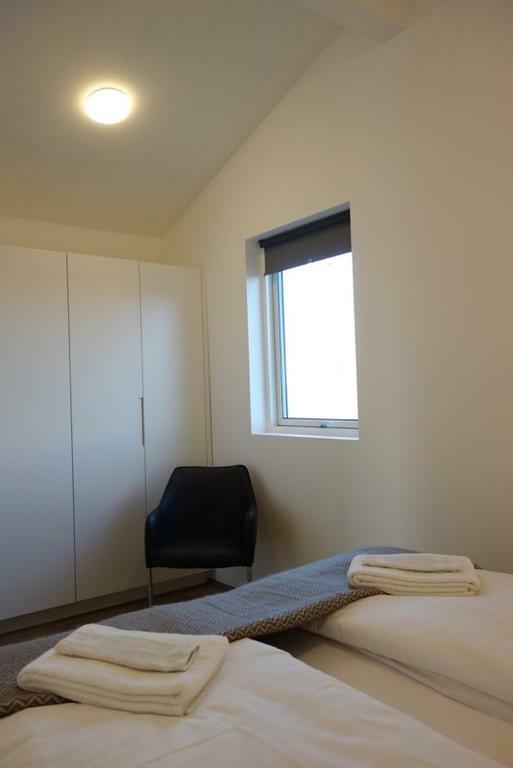 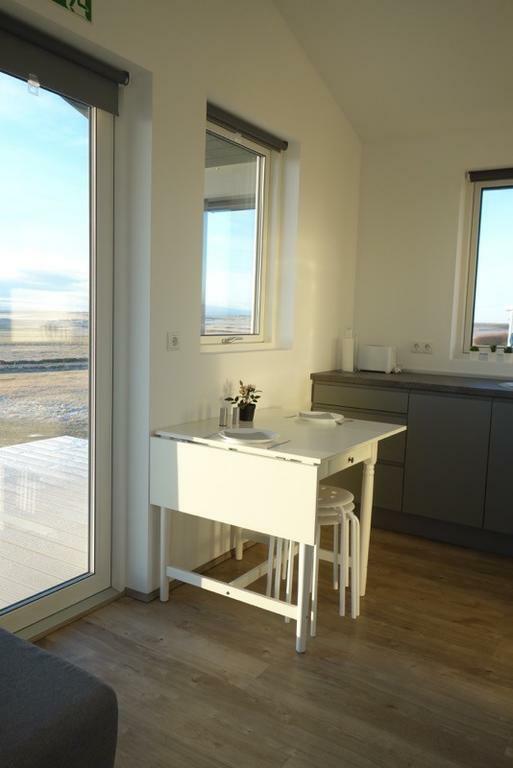 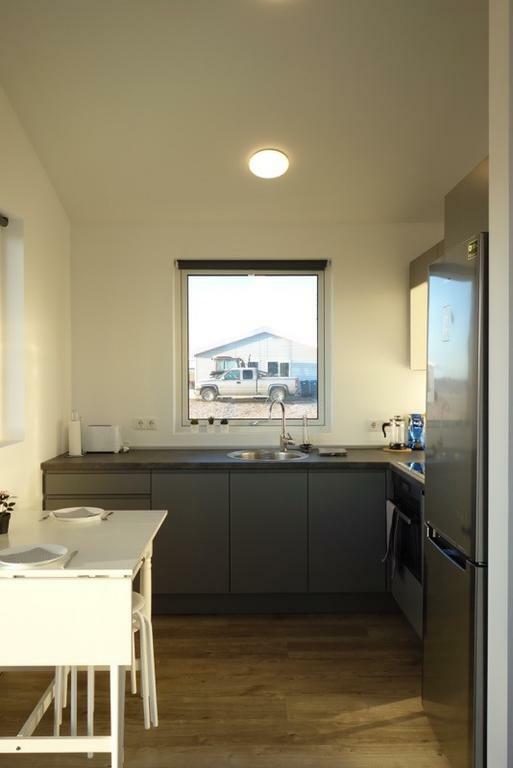 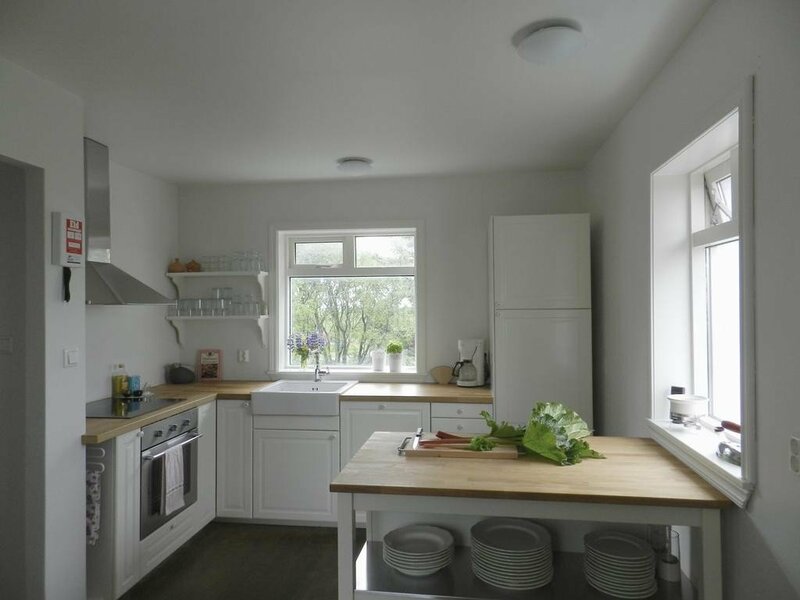 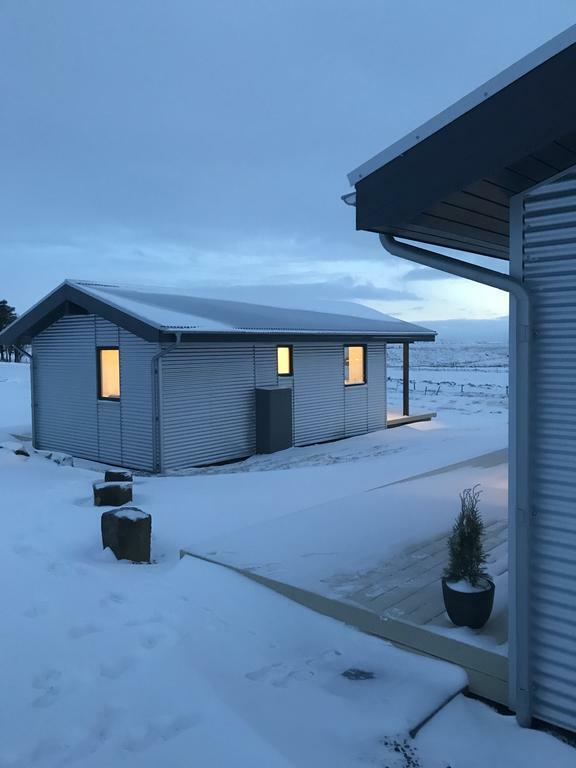 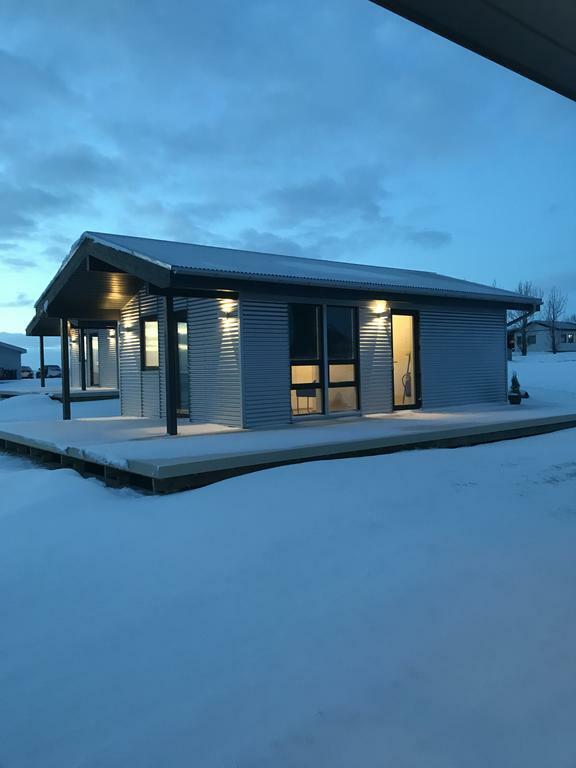 They’re just 40 sq meters but nicely designed and there is also an outside private terrace to enjoy the lovely scenery (there are views of both the Hekla and Eyjafjallajökull volcanoes, and of Westman Island) and in winter to maybe catch a glimpse of those infamous Northern Lights. 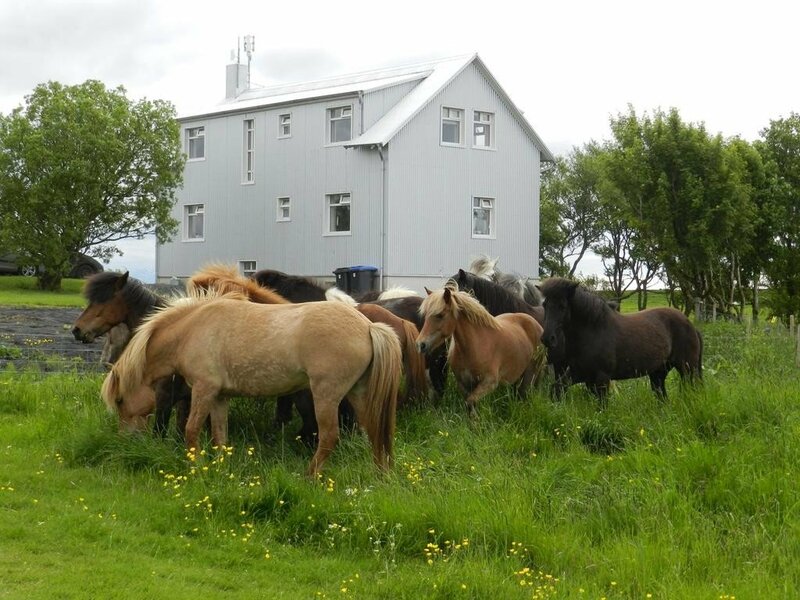 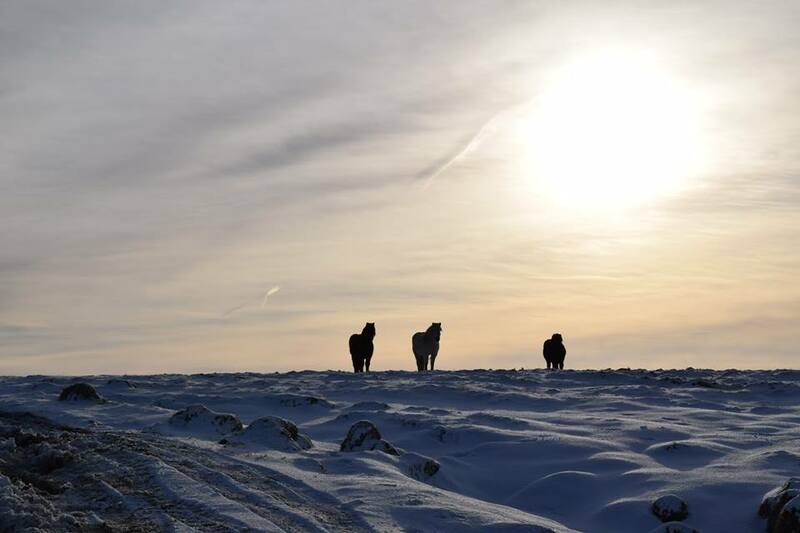 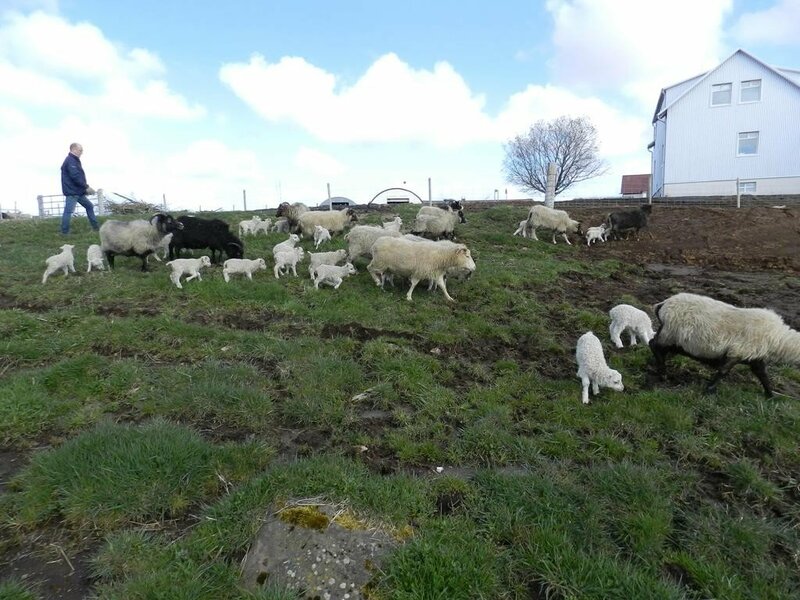 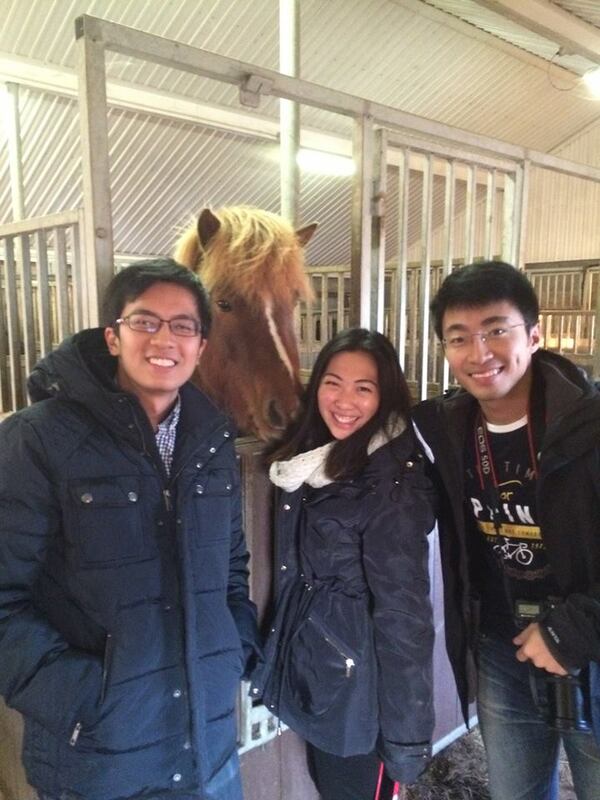 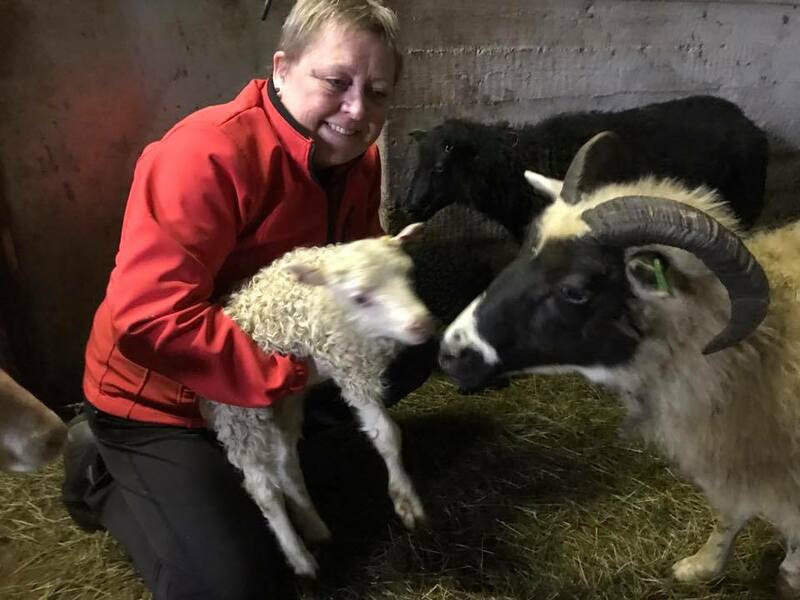 The farm is a working sheep and Icelandic horse farm and the friendly owners are always willing to show guests around, and they offer horse riding trips too. 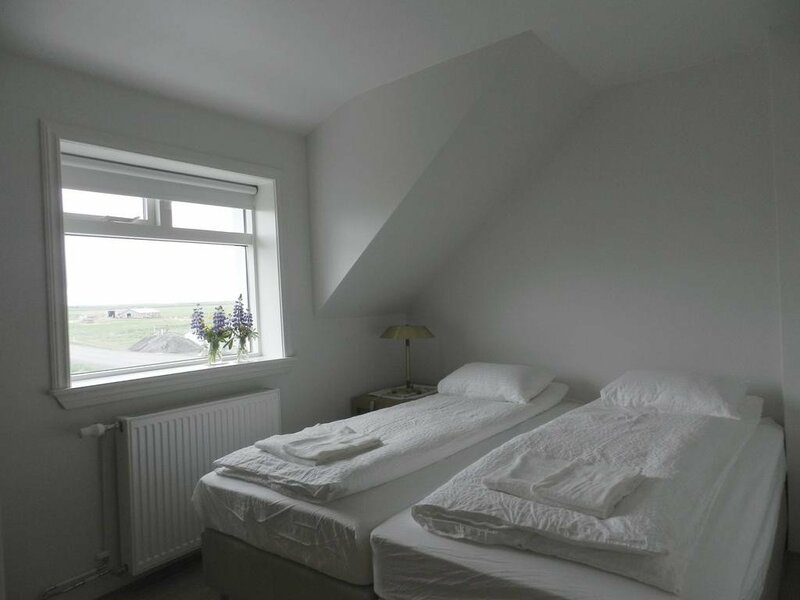 The accommodation is self catering and you can stock up on supplies in the little town of Hella, just 9km away, where you’ll find a a couple of grocery shops, restaurants and bars. 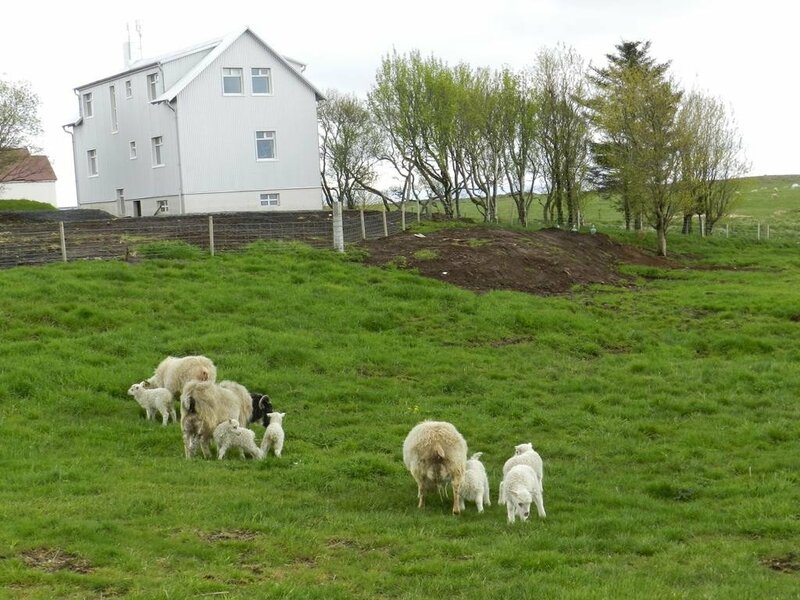 The farm lies just 9 km west of the little town Hella in South-Iceland and 30km east from the regional capital Selfoss. 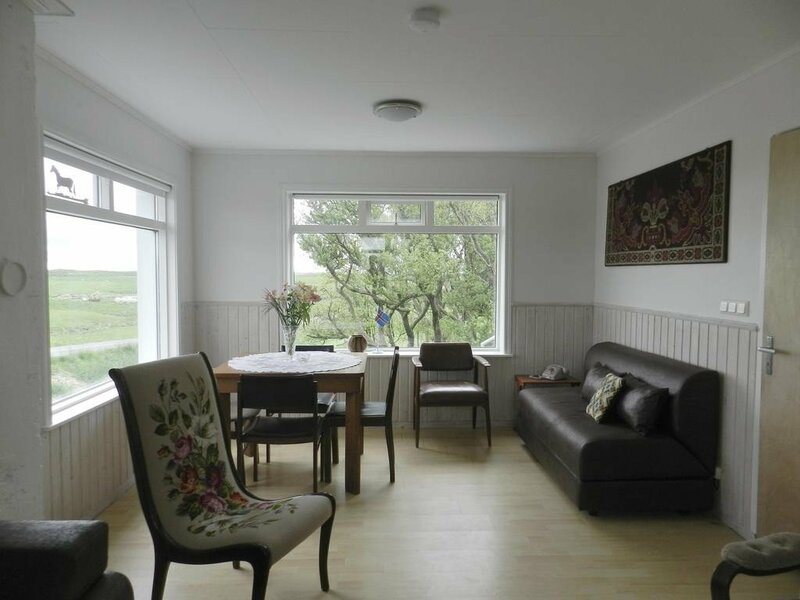 This area is seen as the agricultural heart of Iceland, and is conveniently near the famous Golden Circle Route and the stunning Pingvellir/Thingvellir national park. 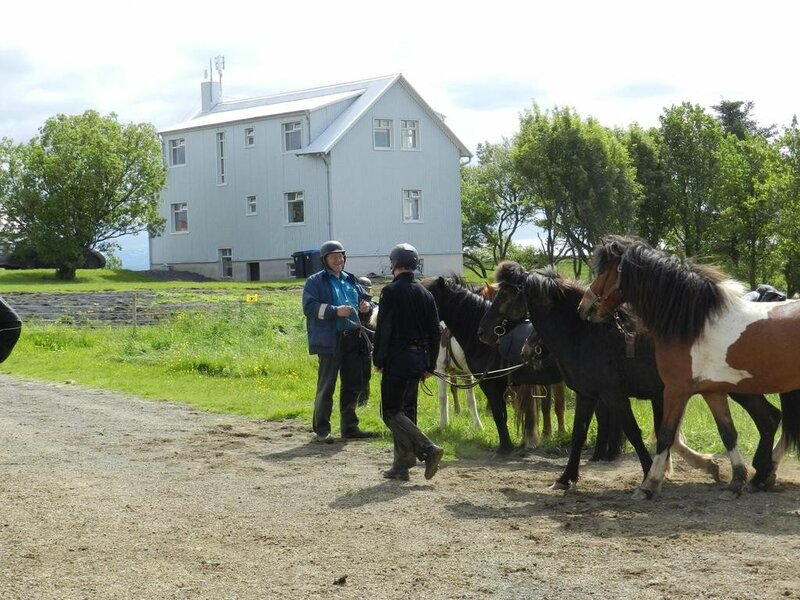 This is original site of Iceland’s ancient parliament while also being the meeting point of the North American and Eurasian tectonic plates. 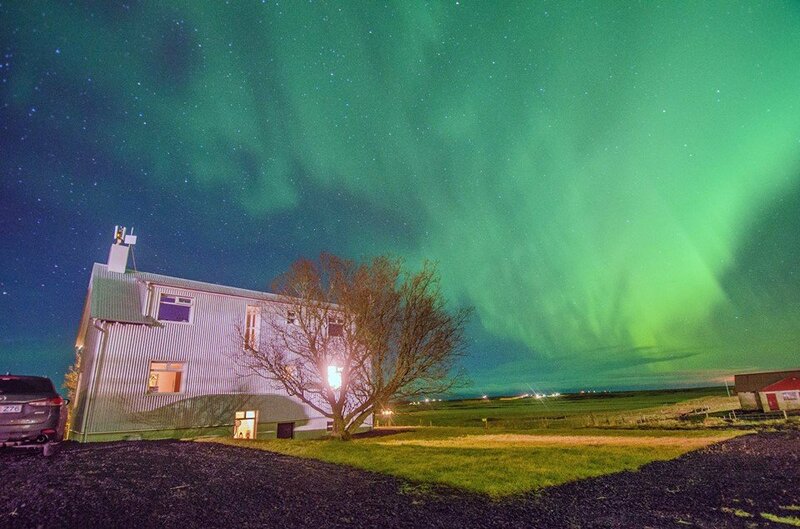 There are hot springs around this area too and dramatic waterfalls such as Seljalandsfoss, and Gullfoss, the largest in Europe. 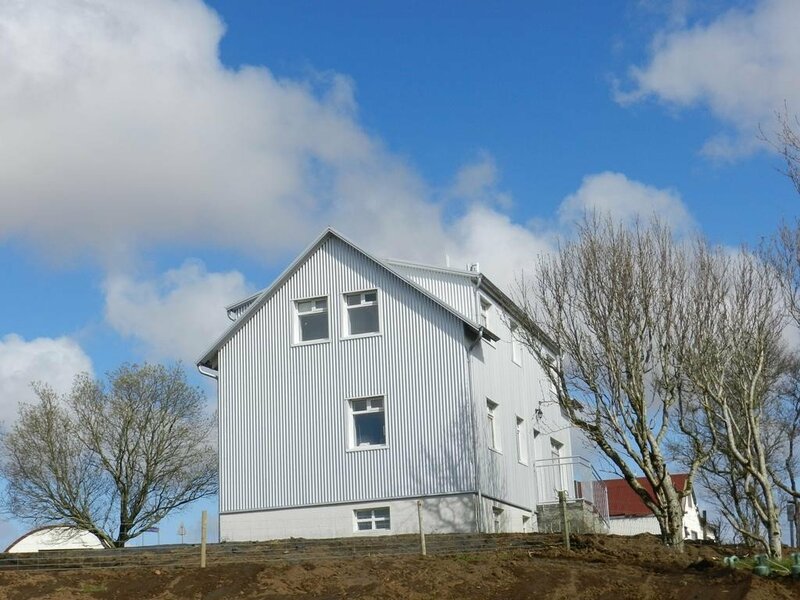 The journey from Reykjavik will take less than an hour, east along Iceland’s main Number 1 Highway. 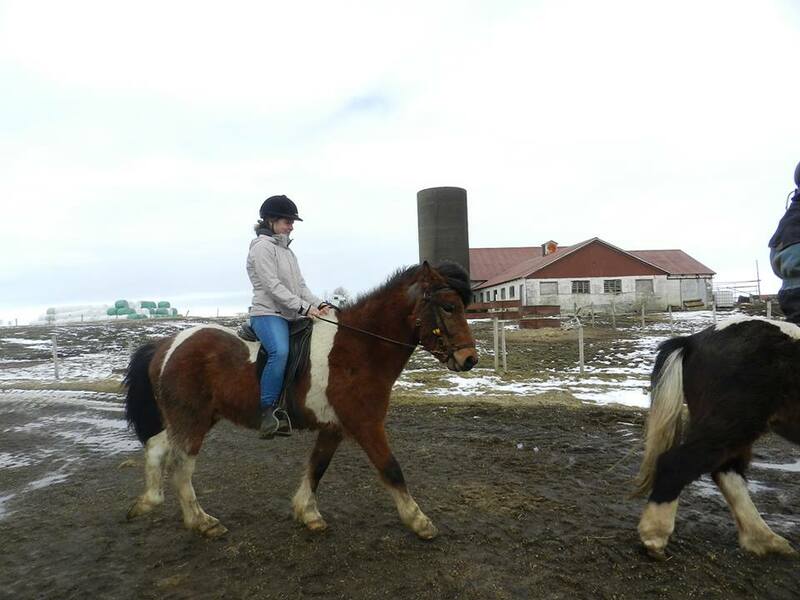 Just follow the signs for Selfoss then Hella before turning off on to road 275 for one kilometer.